If history is any teacher, this ought to be a breeze. If the past is anything to go by, this has to be easy. However, there's enough happening – or not happening – in Grand Bay to flip history on its head and this is making the Dominica Labour Party (DLP) tremble. "People are saying James Alexander can beat her," said one of the many DLP stalwarts in the constituency who fell out with the MP, Justina Charles. If the past is any indicator, Alexander, the United Workers Party (UWP) candidate, doesn't stand a chance. 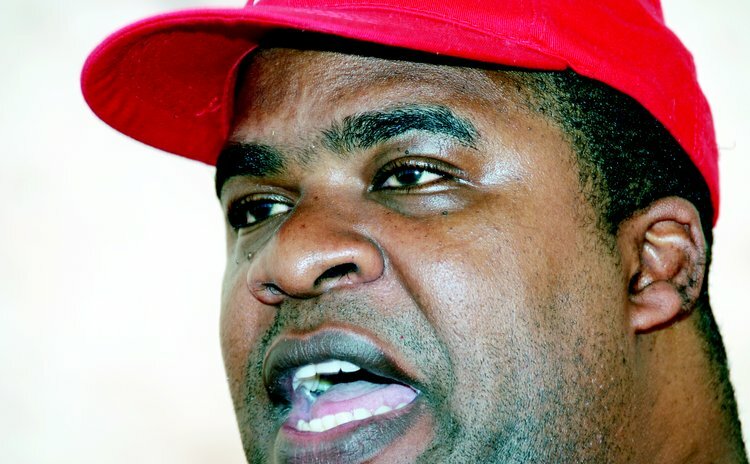 According to results obtained from the electoral office, in 2005, when he first ran, Alexander struggled to scrape 200 votes, while the DLP candidate, John Fabian, won at a canter. Alexander did not contest the 2009 election, but the UWP candidate, Leanthia Pacquette Lewis, secured just 119 votes while Justina Charles, the widow of the late prime minister, Pierre Charles, breezed home with 1350. And the results were somewhat similar in 2000 - when the DLP defeated the UWP in the general election – with Pierre Charles winning by a margin of 1341 to 203. But this time, things appear to be different and Alexander isn't digging up the past or clinging to history. He plans to create his own history by ousting Justina Charles and the DLP. "It's much better than any other time," the former school principal told The Sun of his chances of pulling off an upset. "Our best year is now." The reasons for his constituency-shaking optimism are varied. In addition to marginalizing the old guard, there's growing disaffection with the MP, who has been accused of abandoning the constituency. This, according to the DLP stalwart, is the crux of the matter; and this is what Alexander is using to maximise the incumbent's discomfort and leverage her out of office. "We won the last time and we have nothing to show for it," said the person who spoke to The Sun on the usual condition of anonymity because of this person's current position. Therefore, the source suggested, Labourites are wary of a catastrophic political road crash in the constituency, hence the reason they want the MP replaced. Unless the party identifies someone else, they worry, there's likely to be a savage implosion. "There are a whole lot of people who voted Labour (in the past) who don't want to vote Labour again. There are Labourites who say if Justina is running they won't vote," this stalwart said. "This is what they are afraid of, so that is why they want Justina out." Not only is the MP losing support on the ground, overseas-based Grand Barians who normally support the DLP are reportedly shifting allegiance, with the prospects of Charles retaining their confidence becoming vanishingly small, our source indicated. "Some of the groups in St. Thomas are pledging their support to James," the source revealed. In a vainglorious effort to save the seat, the constituency branch and supporters alike have banded about a number of possible candidates. The community activist and writer, Jeno Jacob, has made no secret of his desire to replace Charles on the DLP ticket. However, according to the DLP source, Jacob "isn't getting any traction" from the constituency branch because they worry he could be a political Trojan Horse. "The branch doesn't want to support him because they think he was not a Labourite. He really wants to run and I think he has a certain competence, but the guys in the branch are not so embracing of him." There are suggestions also, that Edward Registe, the DLP's general secretary, is the branch's preferred candidate. Registe, who comes from "the Pierro (Pierre Charles) political machinery", would get the support of the old guard like Armour Thomas and Willie Fevrier, our source said. While the debate continues within the DLP branch, Alexander is plodding along. He has heard all the names being put forward by DLP supporters – "I don't want to call their name," he said with a laugh – but he isn't perturbed. He has already launched his campaign, he told The Sun, and his focus is on people development, particularly the youth. With the exception of the construction of a police station, he's seen little to no gains in the constituency over the past several years, the UWP candidate said. And, he added, while law enforcement is important, this alone won't help the people of Grand Bay. "Unless you develop people it is a waste of time. The young people need support…I believe the results of the elections will be based on the young vote." James Alexander will perform well enough to establish a base for the UWP but the DLP will retain the seat, the DLP stalwart contended. However, even if history repeats itself, this time it won't be a breeze.